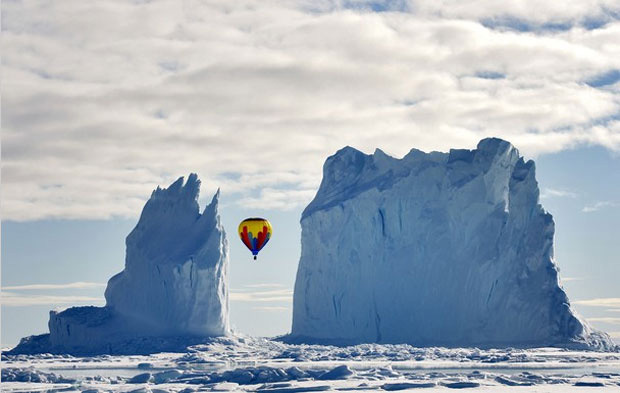 This image of a hot air balloon flying between two spires of an iceberg is in contention for a National Geographic award. A wealthy Mexican tourist hired a tour company to give the man and his family an adventurous tour of the arctic including this balloon flight. Check out the whole story in the CBC News in Ottowa.